NEON Hi-Def Pink Electric 9-42. Super bright colors that will sound clear, bright and musical. NEON's are 100% black light active and will glow under any UV light source. 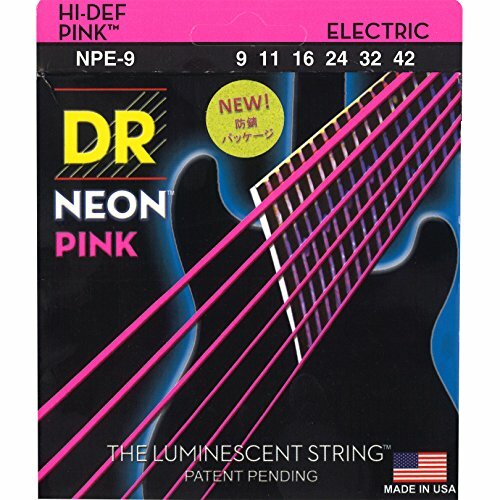 If you have any questions about this product by DR Strings, contact us by completing and submitting the form below. If you are looking for a specif part number, please include it with your message.